TORONTO, Oct. 4, 2017 – Bridging Finance Inc. (“Bridging Finance” or the “Company“) is pleased to announce the launch of its newest product, the Bridging Mid-Market Debt Fund LP (the “Bridging Mid-Market Debt Fund“) which will be available as of October 20, 2017 through the IIROC dealer channel on FundSERV. “Bridging Finance is currently experiencing significant growth and continues to establish itself as a leading provider of non-distressed private debt financing in Canada. 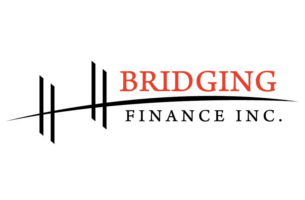 Accordingly, the addition of the Bridging Mid-Market Debt Fund to the suite of products offered by Bridging Finance will allow us to better serve the financial advisor community with a product normally reserved for institutional investors, while assisting companies seeking alternative financing in North America,” said David Sharpe, Chief Executive Officer of the Company. The Bridging Mid-Market Debt Fund’s management team features personnel with approximately 180 years of various credit and business experience. “We are thrilled with the launch of the Bridging Mid-Market Debt Fund which will serve as an excellent complement to the Sprott Bridging Income Fund LP (“SBIF”), a fund co-managed by Bridging Finance with assets under management of approximately $500 million. The borrowers within SBIF are typically transitioning businesses with a focus on near term exits, whereas the borrowers within the Bridging Mid-Market Debt Fund will be looking for longer-term capital,” said Natasha Sharpe, Chief Investment Officer of the Company. “We believe this area of the market is underserved and the launch of this new product will allow us to expand our portfolio by offering to eligible mid-market companies an alternative to lower their cost of capital,” added Natasha Sharpe. The units of the Bridging Mid-Market Debt Fund (the “Units”) will not be qualified for sale to the public under applicable Canadian securities laws and, accordingly, any offer and sale of the Units in Canada will be made on a basis that is exempt from the prospectus requirements of such securities laws and only through registered dealers.